Equally at home on a twisting mountain circuit as on the open road, the DBS is a true thoroughbred. The Aston Martin DBS is a 6.0-liter V12 powered, race-bred, two-seater shaped by the aerodynamic demands of high performance, with an exquisite interior that marries beautifully hand-finished materials with the very latest in performance technology. The need for high-performance stability, handling ability and low kerb weight defined the DBS’s form and construction. Accordingly, the DBS becomes the first production Aston Martin to make extensive use of ultra-light carbon-fiber body panels. High levels of performance and control are delivered by the combination of inherent light weight, near-perfect weight distribution, a supremely powerful and flexible V12 engine, and a performance-honed six-speed transmission, together with new carbon ceramic brakes and an adaptive damper controlled suspension system. At the heart of the DBS is a 6.0-liter V12 engine. 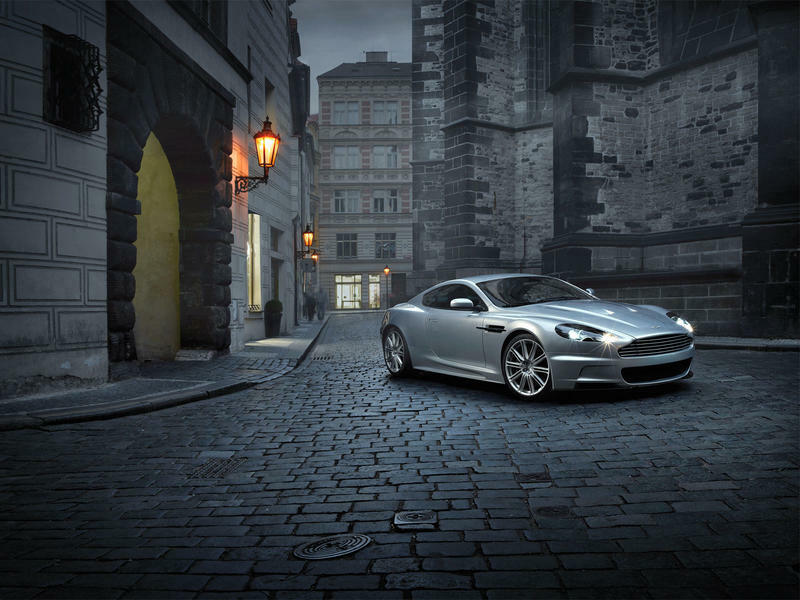 As with all current Aston Martins, it is hand-assembled at Aston Martin’s dedicated engine facility in Cologne, Germany. The classic 6.0-liter V12 features a number of power-increasing enhancements. These include a ‘by-pass’ engine air intake port that opens above 5500 rpm to allow more air into the engine, and re-profiled air inlet ports that further improve airflow into the combustion chamber. Combined with a compression ratio of 10.9:1, the result of these enhancements is prodigious power and torque: the DBS delivers 510 bhp at 6500 rpm. The 3.71:1 final-drive ratio ensures that the additional power is usable, enhancing in-gear acceleration in particular.